Pawel Nowak holds a Master’s degree in Computer Science from the Silesian University of Technology. He is a Lead UX Designer in Future Processing – a software development company from Poland. He works as a UX Designer with intenational clinet for over 6 years. Paweł is the originator and coordinator of World Usability Day Silesia conference (www.wudsilesia.com) – the biggest non-profit UX Conference in Poland. He is also a lecturer and mentor on UX Design at University of Social Sciences and Humanities. After work he leads, together with his friends, socially engaged projects, where he uses design to help people. 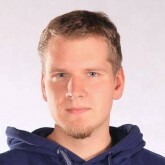 Pawel has spoken at many UX Conferences and meetups since 2010. His areas of interest are designing for experience, innovation as well as topics related to design ethics and a designers real responsibilities and challenges. We all know that User Experience matters and it is much wider subject then only User Interface design. UX Designers have great impact on products and services. Their focus on fullfilling users needs through design helps in achieving goals of the business. But the role of UX Designer sometimes overlaps the role of Product Owner. Whether it must lead to argument, or perhaps this may be the chance to build a better solution? During the presentation I would like to share with you some insights from my cooperation with different Product Owners. For last 6 years I have learned that successful cooperation which leads to great products is always built on strong fundation of mutual understanding of roles, responsibilities and mutual respect. UX Designer meets Product Owner - how to set up successful cooperation?